Have you ever watched The Good Place and wondered, How do they do that? It’s a fair question. 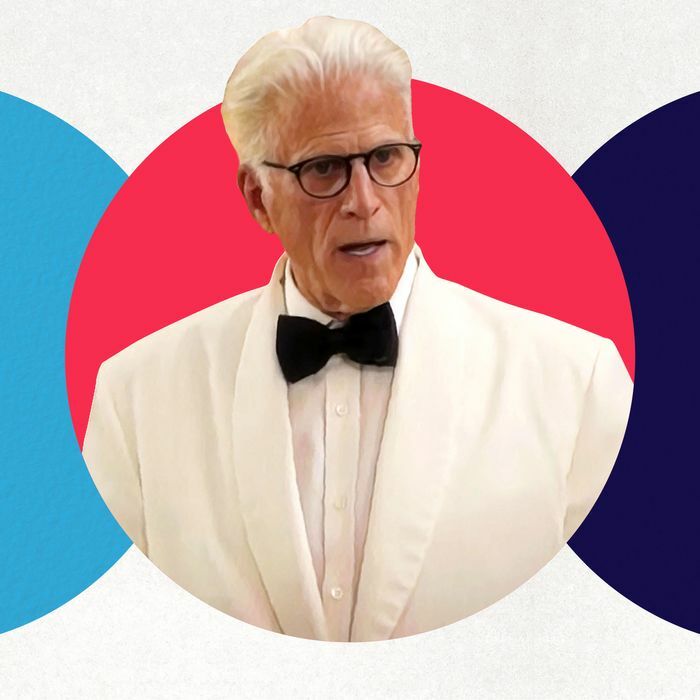 The Good Place is a bit of a marvel of modern TV writing, with its ability to pack so much story, character, and ideas in a network sitcom format. 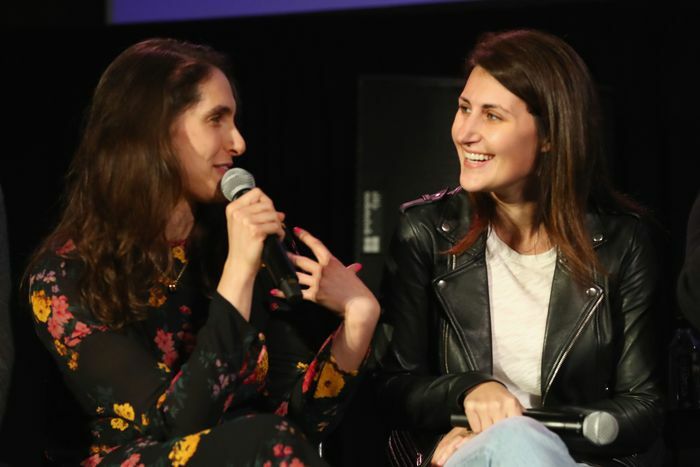 At Vulture Festival L.A. last November, we tried to get to the bottom of that question by hosting a panel with the show’s writers. 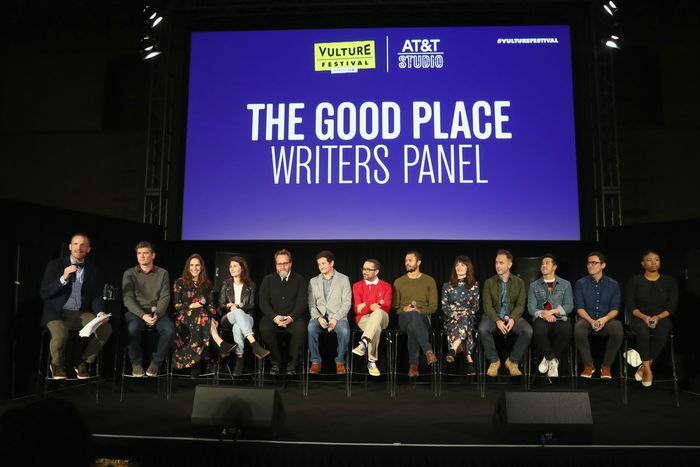 Moderated by cast member and The Good Place: The Podcast host Marc Evan Jackson, the show’s creator and showrunner Mike Schur was joined by writers Megan Amram, Jen Statsky, Josh Siegal, Dylan Morgan, Matt Murray, Cord Jefferson, Kassia Miller, Dan Schofield, Andrew Law, Christopher Encell, and Rae Sanni. Now that panel can be exclusively heard on Good One, Vulture Comedy’s podcast about jokes and the people who write them. Read a short excerpt of the panel below, and tune in to Good One every Monday on Apple Podcasts, Spotify, or wherever you get your podcasts. When assembling the room, Mike, what did you look for? Mike Schur: I knew many of these people from Parks and Recreation, but the ones I didn’t, I read the stuff they wrote, obviously. But I think I was most interested in like, I hate the word, but diversity. It’s not ethnic diversity; it’s like intellectual diversity. I remember talking to Andrew about what he studied in college, and I remember talking to Rae about doing stand-up in New York, and it was like there were enough of us who had worked together from Parks and Rec who were coming over to this show where I was like, I know exactly what that crew is, and I was just looking for things that were not what that crew is. And that proved to be a pretty good way to go about it. The reason diversity is a lame word is because it is used as a sort of catchall to just mean people who aren’t white, but the intention was sort of intellectual background diversity. The show is weird, and we do a lot of weird stuff, and we’re constantly emailing each other like, “Listen to this podcast,” or like, “Read this article that someone wrote.” Like the guy who’s the sort of main philosophical adviser of the show is a professor from Clemson. Dan Schofield found him after we were talking about what happens to a person’s sense of moral philosophy or ethical worldview if that person is immortal, and Dan went and found this guy who had written a book about that exact thing. We read the book, and then I called him and he ended up being our main adviser guy. That is the result of having people who are just intellectually curious — just people who are curious about the world in different ways. Did anyone of you have backgrounds in philosophy prior to doing this job? Are there any of you for whom that seemed daunting? To have to go back into, you know, high school– and college-level stuff and have to do the homework? MS: I don’t want to speak for anybody, but the thing is, it paints this picture of us, like, taking long walks around a college campus, deeply engaged in conversation. We read Wikipedia entries. I don’t want people to imagine that this is an intensive, graduate-level course. We mostly listen to podcasts. We find articles. We find little things. When we were starting the show, I put together a packet of a bunch of stuff that I had read, and some of it was arcane, but also, the message that I was saying to everyone who was reading was like, “I don’t know if I understand this, but this seems interesting.” It’s really not this super over-the-top thing. We’re all Eleanors. None of us is Chidi. Matt Murray: Also, I’ve been doing this now for 18 years and it is refreshing to use your brain in a writers room. It’s like, a lot of shows you’re just making dumb poop jokes — that’s cool too. How did you come up with Jeremy Bearimy? Rae Sanni: Jeremy Bearimy thing happened in the room, in part because I am a lot less smart than these people. Mike was trying to explain time, and I didn’t get it for a full afternoon. I’m new on the staff, I’m the least experienced, and I’m boldly interrupting their ability to tell a story because I don’t understand how time works. And Josh just was like, “What about Jeremy Bearimy? That’s how you explain the time.” And so, when Chidi says, “The dot on the i is what broke my brain,” that’s actually what happened in the room. What happened to Chidi’s brain there happened to my brain. Josh Siegal: This is the way I’d wanna learn about that. I believe what I first said was, “Jeremy Jeremy.” And everyone got it right away. “There’s gotta be a B in there.” And then someone over here said, like, “Well, there has to be an i in it, ‘cause then we’re really in trouble, for what that dot over the i is.” And then Megan goes off with it and writes all this funny stuff about Janet’s birthday and that it’s also Tuesdays in July and never. Everyone gets to hang out with an idea. It makes me feel really lucky. Is it true that what we see onscreen is an approximation of Joe Mande’s handwriting? MS: Yeah, we spent more time probably writing versions of the name Jeremy Bearimy than any other thing. And then, Joe’s a very talented artist, and we had him do it. But, like, there was a really serious session where Joe Mande had a Sharpie. And it was all these giant poster boards, and he was doing it over and over. And then he would hold it up and we would go, “Hmmm, yes, perhaps a little squigglier on the B” or whatever. He did it like 500 times. The one you see is actually his handwriting, or his work, or whatever you’d call it. MS: That sort of comes organically out of the discussion that we have at the beginning of the year. We knew the whole first season before we even started writing it. We were able to talk about season two while we were writing season one. And so, by the time we got to the end, we knew what season two was a little bit. We knew that it was about getting Michael on their team and then him slowly realizing that maybe the point system was unfair. We’re able to know a year in advance what the general idea of what the next season’s gonna be. And then, it also happens, because, again, people are poking around and finding articles and podcasts and stuff and saying, like, “This is an interesting thing that sort of affects our show.” Someone sent me an article about why Aristotle is really relevant today and was like, “Oh, this is really meaningful.” So, we, right now, have an idea of what season four is in a very, very general way. MS: No. And so the trick is to have some juicy ideas and then go into the season and get the whole brain trust together and start talking about it, but not to decide too early. Because if someone has a better idea, we always want to follow that better idea. It’s having stuff to hold on to, but also being willing to risk throwing it all away if someone comes up with something better. It’s a dicey proposition for a show like this. But, again, we’ve been at least a half a year ahead every year, so it makes it more possible. Long before the season ends airing, we’ll get together for a couple days and talk big-picture stuff about next year. And that’ll begin that process. Is there a next year? MS: Oh, I don’t know. I mean, I assume. If they cancel us now, I’d be really pissed. That’d be terrible. Yeah, I guess they haven’t picked us up yet. Goddamn it. All right.